Is a High-protein Diet Right for You? 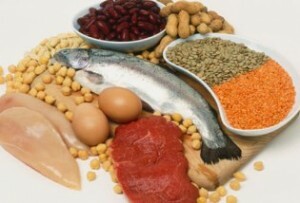 Managing dietary protein is important for patients with chronic kidney disease. Knowing when and how to switch from a low-protein diet to a high-protein-diet is often misunderstood by new patients and healthcare practitioners alike. Many patients with chronic kidney disease (CKD) adopt a diet of moderate to low protein in order to hold onto kidney function. As protein creates more waste products for the kidney to filter, a reduced protein diet will help reduce the stress on the kidneys. When a patient with CKD needs to receive hemodialysis, the rules for dietary protein change. What works for a patient with CKD, doesn’t necessarily also work for a dialysis patient. When a patient with CKD needs dialysis, switching to a high-protein diet has many advantages. Here is a link to a blog that I wrote for voices@renadyl that explains the benefits of a managed high-protein diet. Eating a healthy diet while managing CKD is one of the best things for patients to feel good and have a healthy appetite. Dr. Henderson consults with patients to help them make the best choices for food, supplements, and other natural therapies to preserve good health and make the most of their dialysis treatments.